The importance of hiring a professional copywriter to drive customer engagement and sales is emphasised very often now. The proofs and statistics are so compelling, that some business owners have started to think of a copywriter as of magical solution to low sales. Nevertheless, many owners are eventually not satisfied with the results and, then, ask themselves what mistakes they might have done when hiring a copywriter. 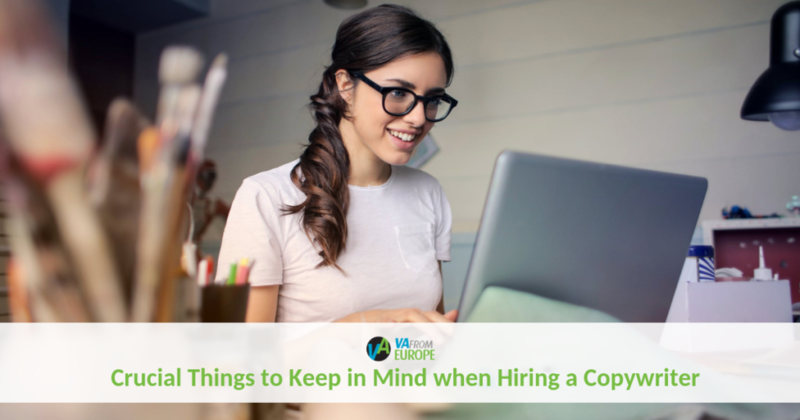 This is why VAfromEurope have compiled a comprehensive list of crucial things business owners should know to make the most of their copy. First of all, you need to take it for granted that copywriting does not work without a good marketing plan. To provide an effective text, your copywriter should know what audience you want to target and what actions you would like readers to take. Each page of your website, each blog post, each letter, each lead form needs to have a definite goal, and copywriting should be the tool that helps you achieve this goal. If you do not have a well-thought marketing strategy, copywriting will unlikely produce any change to your bottom line. What techniques are used to make a text user-friendly? What techniques are used to make a page SEO-optimised? What are internal and external links? Why are they important? In what cases, external links may be preferable or forbidden? How do you understand the concept of “customer pain points”? Why is it important for copywriting? If you do not want to pay for the time a writer will spend on research, you should either provide all the information on your own or agree to a lower quality of content and, possibly, revise it on your own. What we suggest here is not actually giving your copywriter a share in your business, but listening to what your copywriter has to say (as long as he knows his trade). A professional copywriter will analyse your sales funnels and will point to the weak points of your website or your marketing strategy. The question is, will you be responsive to his comments? Will you encourage him to produce reports on the effectiveness and revise previous content to make it more effective? If you do not encourage your copywriter to become your business partner and think of sales first, he will unlikely produce the results you hope for. There is a number of advantages and disadvantages to outsourcing your content. On the one hand, it is good to have an in-house copywriter that will understand the specifics of your business and will be readily available for a writing task. On the other hand, after your website receives quality text for all pages, the writing needs often drop dramatically. 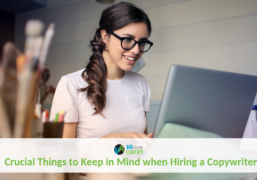 Thus, many business owners find themselves in the situation when they have to invent work to delegate to a full-time copywriter and regret hiring one at all. At the same time, a freelancer occasionally writing content for you may be not available for work when you need it. This way, it is best to cooperate with an agency like VAfromEurope that will make sure a professional copywriter, knowledgeable in your business and content strategy, is always available to you but works as many hours per week as you need it. Copywriting is not some kind of magic that will solve all issues of your business, nor is it “just another blog post” you should have to keep up to the Jones. Copywriting is a tool that can help you reach your marketing goals and it is important that you hire a copywriter having this definition in mind.